Led by Cristian Vogel and Marlon Barrios Solano, the participants – dancers, choreographers, musicians and composers – will be working on the issue Dialog: Sound and Movement. The GVA Sessions 2011 will offer a mixed format providing a collaborative space for different types and levels of knowledge, artists research and production. We will start a two day seminar over the weekend with an international guest group of choreographers, composers and interdisciplinary artists who will dissect and discuss with participants their recent work and practices, exploring the practical and conceptual challenges involved in the composition of choreography, music and sound. Adam Harper is currently studying for a PhD in home-recorded, ‘lo-fi’ popular music at the University of Oxford. He writes a forward-thinking music criticism blog, Rouge’s Foam, which has seen essays on subjects such as microrhythm and pitchbending in contemporary dance music and the framing of nostalgia in electronic music. He has written for Wire magazine and is the author of ‘Infinite Music: Imagining the Next Millennium of Human Music-Making’, (forthcoming for Zer0 Books in November 2011), a manifesto for modernist musical creativity by means of a relativistic process ontology of music. 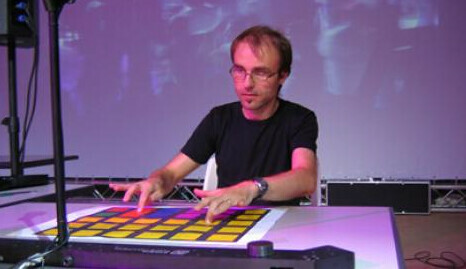 Alain Crevoisier is senior researcher at the Music Conservatory of Geneva, leading a research group dedicated to musical interfaces and interactive technologies. He is the founder of Future-instruments.net, a collaborative platform that supports the development in this field through an interdisciplinary research network and various initiatives, such as the Live Connections project (www.future-instruments.net). Alain Crevoisier studied micro-engineering at the Swiss Federal Institute of Technology in Lausanne (EPFL) and Digital Arts at the university Pompeu Fabra in Barcelona. Beside his research work, he created numerous sound installations, performances and musical compositions, notably for the B-polar dance company (www.b-polar.com). Exploring movement in all its complex simplicity, Anna Huber repeatedly questions formal language of dance, which in her work is marked by intensity, precision and singularity. 1989 – 2007 she has been living and working in Berlin, where she developed several solos, duets and ensemble works, as well as site-specific projects, which she is performing internationally. Since 2007 Anna Huber is artist in residence at the Dampfzentrale Bern and has been generously supported by Kultur Stadt Bern, SWISSLOS/Amt für Kultur Kanton Bern as well as Pro Helvetia Swiss Arts Council. In 2002 she is awarded the Hans Reinhart-Ring and in 2010 the Swiss Dance- and Choreography Award. 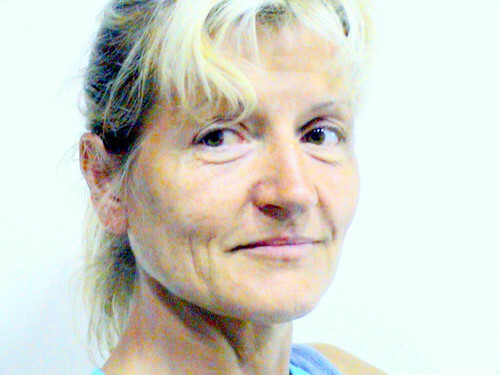 Born in 1956 in Umag (Yugoslavia) Ariella Vidach began producing her choreography in New York where she moved in the 80’s inspired by the work of the most significant artists of the postmodern dance generation as Trisha Brown, Dana Reitz, Steve Paxton and with the aim to deepen her study in contemporary dance. Her work was presented in the United States, Canada, Germany, Holland, France, Switzerland, the Slovak Republic, Slovenia and Macedonia, Turkey, Luxemburg, Cuba and Portugal. She is co-founder of Avventure in Elicottero Prodotti , founded in 1988 in Lugano and she creates in 1996 with Claudio Prati, the Ariella Vidach – AiEP dance company with which she produced multimedia performance among others: Exp (’96), Drans (’98) and Beat Box (’00), Opus (2001), Buffers (2003), DanxyMusic (2004), Id (2005), Intervita (2007), .Mov (2009). The Ariella Vidach – AiEP dance company has an artistic residency inside the Fabbrica del Vapore in Milano an old industrial area that was renovated and reused as cultural and artistic venues. She currently teaches at Scuola D’Arte Drammatica Paolo Grassi and continues her research producing performances concerning the relationship between body and technology. She lives in Milano and Lugano. Trained in classical ballet, Cindy Van Acker first worked in the Flanders Royal Ballet, Belgium. Afterjoining Geneva’s Grand Theatre, she decided to settle in the city. Always interested in the opportunitythat modern dance offers for experimentation, she began creating her own pieces in 1994, andlaunched into an international career with Corps 00:00 at the Geneva ADC in 2002. In 2003, CindyVan Acker created two other solos, Fractie and Balk 00:49. In 2005, Italian director Romeo Castellucci chose Van Acker to represent Switzerland at the VeniceBiennial. This first meeting then developed into an artistic collaboration with Castellucci, whosuggested that she create the choreographic part of his production of Dante’s Inferno for the 2008edition of the Avignon Festival, and for Parsifal, which he will be producing at La Monnaie in January2011. 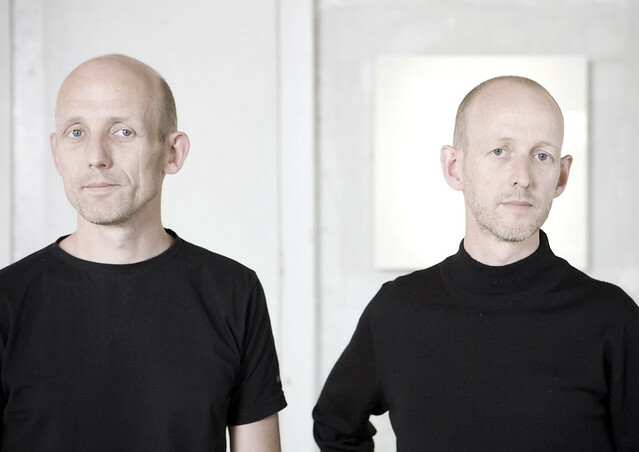 In 2007, Kernel provided an opportunity for an unusual and stimulating collaboration with Finnishcomposer Mika Vainio of the Pan Sonic group which created and played the performance’s musicalscore. This experience continued with the creation of the sound effects for three solos producedbetween 2008 and 2009, Lanx, Nixe and Obtus. Obvie, Antre and Nodal completed this series of sixsolos and the same number of films directed by Orsola Valenti. Cindy Van Acker also ran courses in bodily movement for student actors at the Manufacture,Lausanne’s Theatre School, from 2006 to 2009. With Monoloog in 2010, she renewed her collaboration with the Electron Festival. Her choreographic scripting, which allies esthetic gravity, minimalist movement, precise compositionand electronic music, allows Cindy Van Acker to examine the connections between body and spirit,sound and rhythm with almost scientific precision, and to create works that cross the barriers betweendance, performance and plastic arts. Born in 1954 in Bern (Switzerland) he graduate in Gymnastics & Sports at ETH Zurich, in Sculpture at the Accademia di Belle Arti di Brera in Milano and trained as a Mime at the school of Piccolo Teatro in Milano. 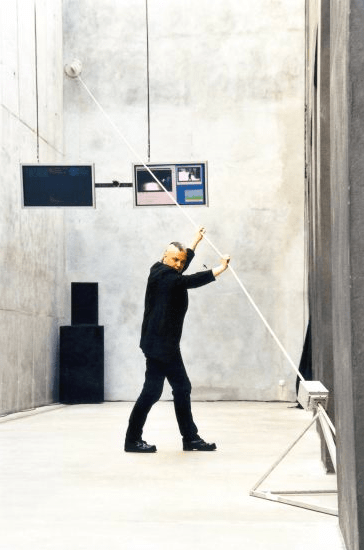 Between 1986 and 1988 he lived in New York, where he studied Videoart and Special Project mixed media at New York University, as well as Contact Improvisation Dance at the Movement Research Centre and PS 122. In 1988 in Lugano (Switzerland), he founded Avventure in Elicottero Prodotti cultural Association with Ariella Vidach, Carlo Somaini and Marcello Mazzella and in 1996 he was the founding partner of Ariella Vidach – AiEP dance company in Milan. 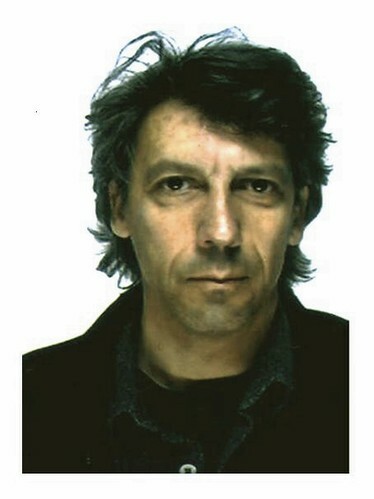 Between 1989 and 2010 he produced fifthteen multimedia interactive dance productions, in collaboration with Ariella Vidach, and various dance videos, inspired to the performances, which were presented in several international dance Festivals in Paris, Skopje, Ankara, New York, Montreal, La Havana, Roma, Freiburg, Arnhem, Ljubliana, Luxembourg, Bern, Zuerich and in Video Dance Festivals like the “TTV Video Festival of Riccione”, “Electronic Choreographer of Naples″, Videodance (Athens), Invideo Festival (Milan) and in Tel Aviv, Oslo, Luzern…. He was member of the jury of some international and prestigious video and multimedia contests like “VIPER Luzern”, in 1996, “Premio Immagine IBTS/Milano” in 1997, “Prix PIXEL IMAGINA– INA Monte Carlo “in 1998 and “Il Coreografo Elettronico/Napoli”in 1999. He lives and works in Lugano and Milan. Since around ten years, Cod. Act develops and builds sound machines presented in the form of installations or of performances. They always associate movement and music. During his various projects, Cod. Act tries to improve the relation and the harmony to obtain the best fusion of them. Christian Garcia (b. 1968) trained in classical guitar, piano, and music education. He composed and directed the music for five theatre pieces with the Swiss collective Velma, which unpredictably alternates between Performance, music theatre and concert in works like “Cyclique 1&2” (2000), “Applique” (2001), “Rondo” (2002), “Velma Superstar” (2005) and “Requiem” (2007).Garcia also composes for various dance, theater and performance productions by Elodie Pong and Robert Pacitti, Denis Maillefer and Fabienne Berger. He also writes music for films, in Switzerland for, among others, Jean-Stéphane Bron, as well as for Vincent Pluss, in Germany for Sonja Heiss, and in England for Andrew Kötting. He began staging his own music-theatre pieces in 2010, including “Glissando” in Warsaw’s municipal theatre, and “Pastiche” in Stadttheater, Bern. He has also established a reputation as a filmmaker, above all with the short film “La Caverne” (2009). Garcia’s works have been performed in Switzerland, Germany, South Africa, Belgium, England, Poland, Czech Republic, France, Spain and other European venues. Cristian Vogel has more than 15 years working independently and professionally at the vanguard of electronic music creation, recording, mixing, performance and sound design. Alongside simply composing music for the love of it, his personal research streams are ongoing. These days they branch away from the conventional music industry into philosophy of music, performance research, realtime sound environments and sound-art, data-sonification and much more. 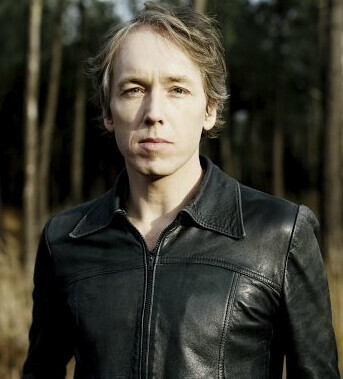 Composer, born in Zurich/Switzerland in 1963. He studied composition in London with Melanie Daiken and electronic and computer music in The Hague/Netherlands, with Joel Ryan and Clarence Barlow.Invited by Michel Waisvisz he lead STEIM – the renown Dutch Studio for Electro Instrumental Music, and home of ‘New Instruments’ – as Artistic Director until 2005. There he collaborated with musicians and artists like Frank van de Ven, Frances-Marie Uitti, Netochka Nezvanova, Laetitia Sonami, Francisco Lopez, Jon Rose, Anne Laberge, Steina Vasulka, and numerous Dutch New Music Ensembles and organisations like the FNM/Stuttgart and the Theremin Institute/Moscow. 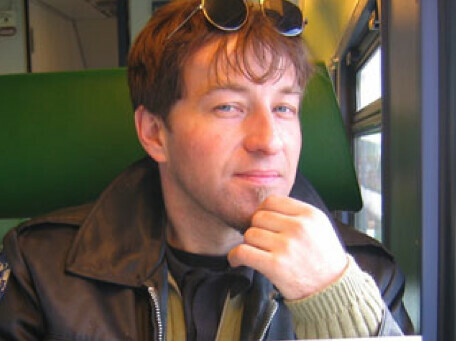 He is currently STEIM’s composer-in-research and creative project advisor. Recent works also include the ongoing ‘KAIROS Project’, where he invites instrumental virtuosi to play along with his new sensor instruments. His concerts and workshops have taken him all over Europe and as far afield as Johannesburg’s Soweto, Iceland, Shanghai and the street artists & kids of Guatemala City. Of Irish descent, Eric Linder, was born in Switzerland. In his early twenties he started a solo career under the name of Polar. He has produced five albums including “Jour Blanc”, co-written with French artist Miossec.In 2006 he signed with EMI and was published in the same catalogue as artists like Air, Etienne Daho or Camille. This songwriter, who has met public success both in Europe and in the United States, has also been regularly collaborating with performing artists.He has composed music for two pieces by Cie 7273, for Estelle Héritier’s “A5” , for Maud Liardon’s “Zelda Zonk”, for Perrine Valli’s “Je ne vois pas la femme cachée dans la forêt”. He also created for the national Swiss exhibition in 2002, Expo 02, the musical show “Halbtraum”, along with Die Regierung – an orchestra composed of mentally challenged musicians –, and more recently, he has composed music for two pieces by the National Contemporary Dance Company of Korea.From 1994 to 2005, he was in charge of music promotion at Festival de La Bâtie in Geneva, and is one of the co-founders of the new Genevan winter Festival Antigel, which started this year. His last album, “French Songs”, was released in 2009, and has been widely acclaimed since. After studying Fine Arts in Toulouse and in Marseille, where she obtained her Master’s degree (DNSEP) in 2002, Swedish Canadian artist Jennifer Bonn continued her work experience in Switzerland and in Spain. She has been working on her own sound creations for installation, film, dance and theatre since 2005, which has allowed her to collaborate with, amongst others, the 72/73 company, the Belgo-Suisse company, the theaterkombinat company, Perrine Valli, Cindy Van Acker, Mathieu Bertholet, and the artists’ collective kom.post. Jennifer Bonn lives and works in various European countries. Jerome Soudan started playing music at the age of 5 years old atthe Conservatory of Chambery, France. He learnt to playorchestral percussions, the clarinet and later on, acoustic andelectronic drums. He obtained a master degree in musicologyspecializing in 20th century music at the University of Lyon, Francereceiving a distinction in 1993, after submitting his master thesis onindustrial music. 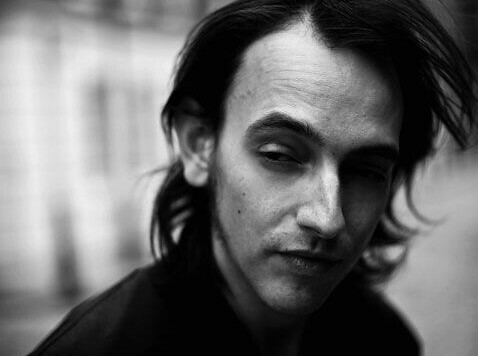 Jerome Soudan then settled down in Paris where he worked with numerous contemporary composerssuch as Kasper T. Toeplitz for the GRM (Maison de Radio France) or with rock bands such as LesTétines Noires or industrial bands such as Von Magnet. In 1996, he moved to Berlin where he startedto work as a composer and percussion player with the experimental band Column One. In 1998, hestarted his own solo project named MIMETIC. In 2000, Jerome Soudan established himself in Geneva,Switzerland and began working with the contemporary electroacoustic group ART ZOYD in France. The group, which existssince 1968, has become one of the main references in terms of”new music”. Since 2000, Jerome Soudan is also one of the official composersfor the choreographer Carol Brown (a New Zealander, establishedin London, UK) for whom he composed dance performances aswell as video installations. Other choreographers with whomJerome Soudan worked include Jan Linkens (Comic Opera ofBerlin, Germany) and Lionel Hoche (Neerdeland Dance Theater 2in The Hague, The Netherlands). In 2003, Jerome Soudan founded with the Belgian, HermanKlapholz, a new electronica project called Wai Pi Wai. In 2005, hewon the award for the best design and artwork packaging for electronic music during the FrenchQwartz awards for the cover box of MIMETIC DANCING “The Changing Room”. The following year,Jerome Soudan released his first DVD with MIMETIC on the German label Ant Zen. During all these years, Jerome Soudan released numerous CDs or vinyls with various bands ondifferent labels such as Ant Zen, Hands, Parametric, Moloko+. To date, MIMETIC holds no less then 15releases. Jerome Soudan took also part in several concerts, live acts, dj sets or performances allover the world (Europe, USA, Mexico, Canada, Japan …). In 2005, he received support from ProHelvetia for his international solo project tour. In 2007, Jerome Soudan released a live album « All my lives » on theGerman label HANDS. Meanwhile, he was also composing the musicfor the film « Un éclat » by Rodolphe Viémont, staging Olivier Py. In 2008, Jerome Soudan celebrated the 10th anniversary of his soloproject with the release of a 160 pages book with 2 CD’s calledMIMETIC X “one more than nine”. The book: International guests(Paul Kendall (Depeche Mode producer), Franz Treichler (TheYoung Gods), Luc Van Acker (Ministry),…) are giving their personalpoint on view on Mimetic in different forms (poetry, prose orjournalistic style). Christian Zanési (co-director of the GRM (Groupede Recherches Musicales) INA/RADIO FRANCE) wrote the Preface. is a composer, electric bass player and musician who has developed his work in the no man’s land between “academic” composition (orchestra, ensembles, opera) and electronic “new music” or “noise music”. He has won several prizes and distinctions ; 1st prize for orchestral composition at the Besançon Festival, 1st prize at the “Opéra autrement/Acanthes” competition, Villa Médicis Hors les Murs (New York), grant Leonardo da Vinci (San Francisco) , Villa Kujoyama (Kyoto), DAAD (Berlin). He got numerous commissions from the French Governement, the radio and from electronic studios such as Ircam, GRM , GMEM, CRFMW, EMS.. He also works with experimental or unclassifiable musicians such as Zbigniew Karkowski, Tetsuo Furudate, Dror Feiler, Art Zoyd, Eliane Radigue, Phill Niblock, Francisco Lopez, Antoine Chessex, Ulrich Krieger, others…….. In 2007 he started KERNEL, an ensemble of live electronic music, working on precise scores – definition of a written language – for the electronic medium. He has definitively integrated the computer into the very heart of his work, as a tool of thought and composition, and as a live instrument, hybridising more traditional instruments if necessary, or working on the sheer electronic noise. 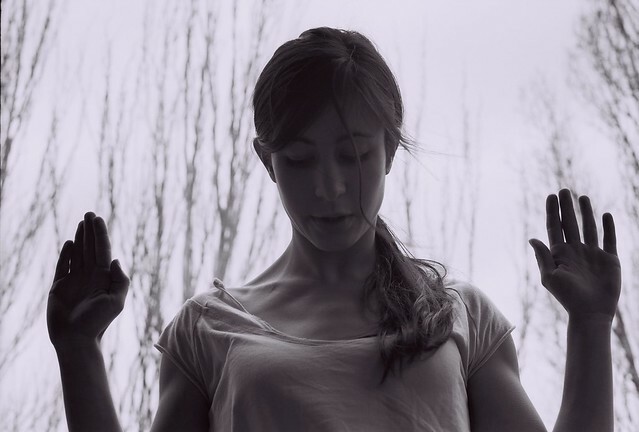 The respiratory techniques of yoga are at the source of Myriam Gourfink’s endeavors. The idea is to seek after the inner urge that leads to movement. Guided by breath, the organization of bases of support is extremely exact, while the consciousness of space is shaky. The dance becomes slow, tedious within continuous time. This knowledge of movement and space makes possible the conception of choreographies without studio rehearsal. Thanks to what it suggests of a dance situation, there is no need to move in order to feel dance : the senses and the intellect reconstitute it. As do musicians, she uses a symbolic writing system to compose the geometrical universe and poetic evolution of dance. Having studied Labanotation with Jacqueline Challet Haas, she undertook a quest, using this system as a point of departure, for the formalizing of her own compositional language. Each choreography encourages the performer to be conscious of his acts and of whatever passes through him. The scores activate his participation : he makes choices, carries out operations, confronts the unexpected within the written text, to which he responds instantly. For certain projects, the scores include computer programs for the scrambling and real-time re-generation of the pre-written composition : the program runs the score in its entirety and generates millions of possible compositional sequences. The performer, via captor systems, guide the process of modification of the choreographic score, which they read on LCD screens. The computer setup is thus at the core of the space-time relationship. As the piece proceeds, it makes possible the structuring of as yet untried contexts. 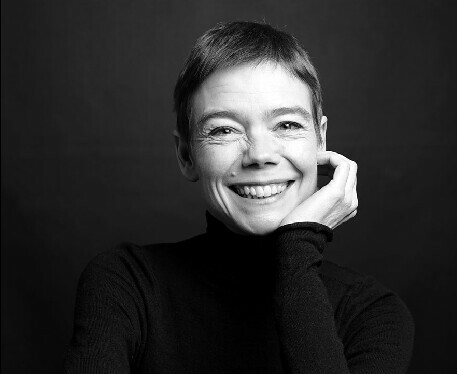 A leading figure in choreographic research in France, but also the guest of numerous international festivals (springdance in New York City, the Künsten Arts festival in Brussels, the Festival de la Bâtie in Geneva, the Danças Na Cidade festival in Lisbon etc. ), Myriam Gourfink was artist in residence at the IRCAM in 2004-2005 and at the national Fresnoy-studio for contemporary arts in 2005-2006, Myriam Gourfink has since january 2008 been director of the Center for Choreographic Research and Composition (CRCC) at the Royaumont Foundation. Muriel Romero is a dancer and choreographer. Her work is currently focused on the investigation of generative choregraphic structures and the incorporation of abstractions taken from other disciplines such as music or mathematics. She has won several international prizes such as Moscow International Ballet Competition, Prix de la Fondation de Paris-Prix de Laussane and Premio Nacional de Danza. She’s been first soloist in some the most prestigious companies around the world including Deutsche Oper Berlin, Dresden Semper Oper Ballet, Bayerisches Staatsballet Munchen, Gran Théatre de Genéve o Compañia Nacional de Danza. During her trayectory she’s work with some choregraphers of our time like W. Forsythe, J.Kylian, Ohad Naharin orSaburo Teshigawara. She teaches at the Professional Conservatory of Madrid. Pablo Palacio is an independent composer currently living in Madrid. His work has been focused on the transformation an perceptual connections of sonic images. He has held residences in Spain, Switzerland, Germany and Lebanon, and his pieces have been performed in many countries from Europe and United States to China, India, Brasil, Australia or North Africa. He is also an active composer for dance and performing arts receiving commissions from Compagnie Buissonnière-Lausanne (Switzerland), Palindrome Inter Media Performance Group (Weimar, Germany), Staatstheater Mainz (Mainz, Germany), Maqamat Dance Theater (Beirut, Lebanon), Cisco Aznar (Switzerland) or CCG-Centro Coreográfico Gallego (Galicia, Spain). He also collaborates with several conservatories, universities and institutions through publications, workshops, and talks divulging new perspectives and technologies in sound composition. 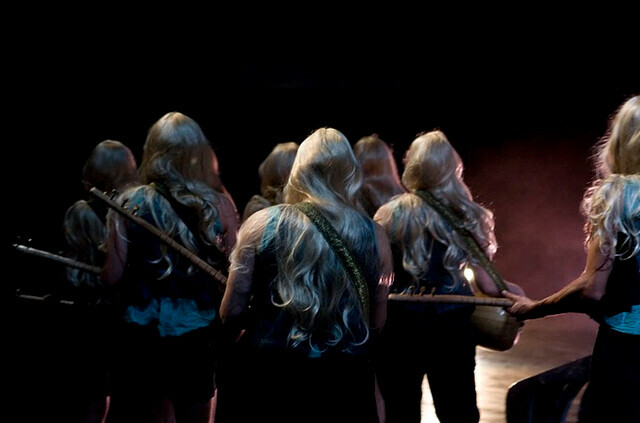 He is professor of sound space at the Master in Performing Arts and Visual Culture (UAH-Madrid). Perrine Valli was born in Aix en Provence in 1980. She studied ballet and contemporary dance at the Conservatory of Aix en Provence. She continued her education at the Hallet Eghayan School, at the same time studying Arts at the University of Lyon. A year later, she was accepted at the National Conservatory of Lyon and in 2001, she entered the CDC (Choreographic Development Center) of Toulouse. After that, she obtained a scholarship to join the London Contemporary Dance School, where she graduated in 2002. After her graduation, she went to America for three months, doing workshops on improvisation with Julyen Hamilton, Nancy Stark Smith, Kirstie Simson, Daniel Lepkoff, Olivier Besson and Andrew de L.Hardwood. Back in Europe, she went to Switzerland to work with Estelle Heritier at the Arsenic Theatre, on a piece called A5. She also did a project entitled Temps Morts with the Collective de la Dernière Tangente at the Theatre of Vidy in Lausanne and at the National Theatre of Sénart in Paris. She than met the choreographer Cindy Van Acker with whom she worked on several projects: Corps 00:00 at the Biennale of Venezia and Teatro Comandini in Cesena (directed by Roméo Castelluci) , Pneuma and Puits with Vincent Barras and Jacques Demierre. She has also performed in Van Acker’s last creation Kernel, showed at the Grütli theatre of Geneva, with the musician Mika Vainio, Pan Sonic. In 2005, she started her own company called Association Sam-Hester. Her first piece Ma cabane au Canada played at the Usine Theatre in Geneva and at Mains d’Oeuvres, in Paris. In april 2006, she obtained a three year residence at Mains d’Oeuvres in Paris where she created her second piece called Série.This piece wins the first prize at the Masdanza international choreography contest in Spain, and is also chosen for the Swiss platform Tanz>Faktor>Interregio 2008.Perrine Valli presents a third piece Je pense comme une fille enlève sa robe in January 2009, at the festival Faits d’Hiver in Paris and at the theatre l’Usine in Geneva.She receives a research stipendium from Cultures France “Hors les murs” which will take place in Japan in 2009. In may, she has been rewarded with the second prize of the Premio contest in Zurich. At the moment she works on a new piece called « Je ne vois pas la femme cachée dans la forêt » (I don’t see the woman hidden in the forest). Marlon Barrios Solano is a Venezuelan professional nomad, Vlogger, on-line experimental producer, and curator, consultant, researcher and international lecturer/workshop leader based in and New York, USA and Geneva, Switzerland. He is the executive director of Dance-tech Interactive llc and creator/producer dance-tech.net, a social networking site, dance-techTV, a collaborative internet video channel, and of dance-tech@, a series of online video interviews exploring innovation and interdisciplinary investigations on the performance of movement. He has also developed several projects on collaborative journalism and produces the on-line video series featuring innovative and pioneer movement, new media artists and researchers. With a hybrid background in dance, new media technologies and cognitive science, he continues to investigate the intersection of the performance of motion with new media technologies, real-time composition (improvisation and interactive technology), embodied cognition while experimenting with on-line platforms for the development of sustainable models of knowledge production-distribution among trans-local communities and contexts. He is a lecturer for the Masters on Performance Practices and Visual Cultures for the Universidad de Alcala (Spain) and consults for the Gilles Jobin Company (Switzerland) and for the South American Network of Dance. Marlon is also associate producer for DanceDigital (UK). As a professional dancer in New York City, he performed nationally and internationally with Susan Marshal and Dancers (1997-2000), Lynn Shapiro Dance Company (1995-1998), and with the choreographers Merian Soto, Dean Moos, Bill Young, among others. He also performed with the musicians John Zorn, Philip Glass and Eric Friedlander. 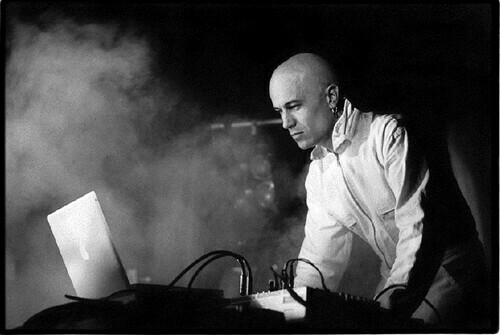 Under Unstablelandscape (2003-07), he performed and researched improvisational performances within digital real-time environments performing in the US and Europe. He holds an MFA in Dance and Technology (real-time digital technology, performance of improvisation and cognition) from The Ohio State University, USA.